Can't get enough of Caesar following the release of Matt Reeves' Dawn of the Planet of the Apes? 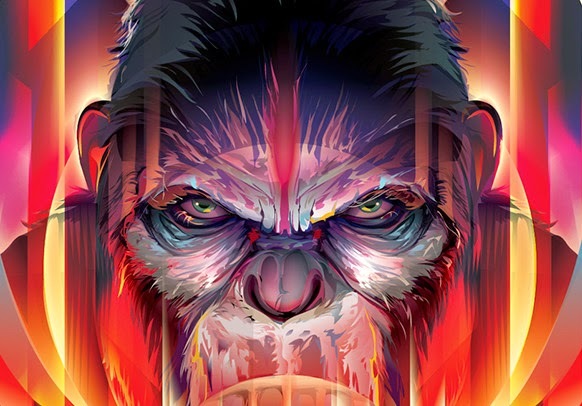 Poster Posse member Orlando Arocena is here to help with this striking print. 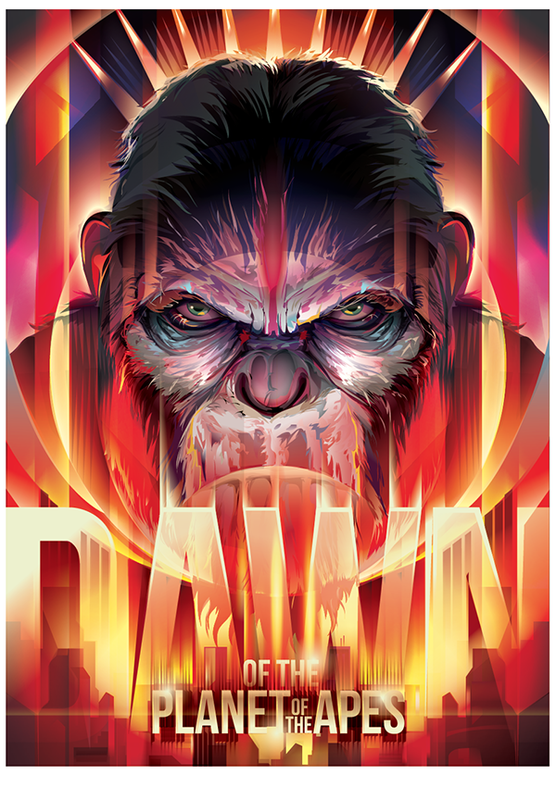 Ever the meticulous artist, Poster Posse member Orlando Arocena has conjured an astounding tribute to Matt Reeves' Dawn of the Planet of the Apes. Set to be released by Los Angeles' Hero Complex Gallery, Arocena inject his unique aesthetic sense of vector-based graphics resulting in a mindboggling process of the print. Entitled "Coronation of Caesar", the piece was released last month and is still available online. 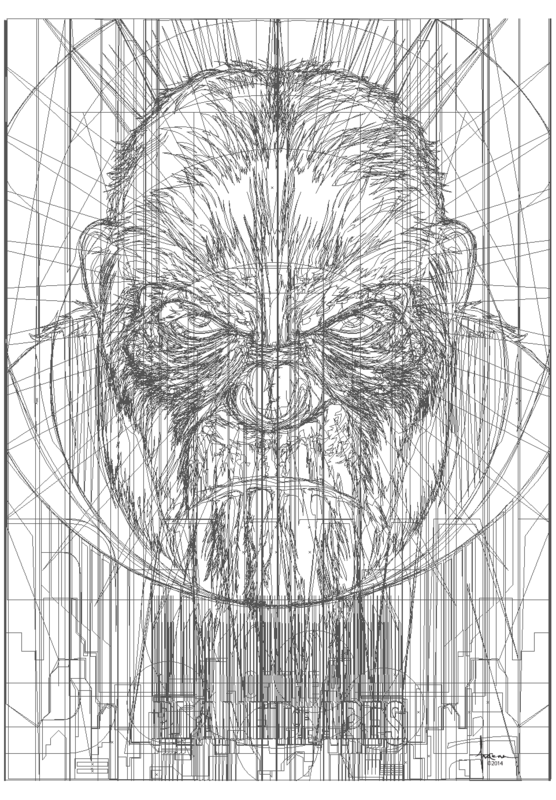 Being a long time fan of the Planet of the Apes franchise, and anxious for the new prequel directed by Matt Reeves, I was heavily influenced by the arresting stare of the main character Caesar. His deep foreboding gaze, those prying, intelligent eyes of a leader struggling for a possible future for his species. 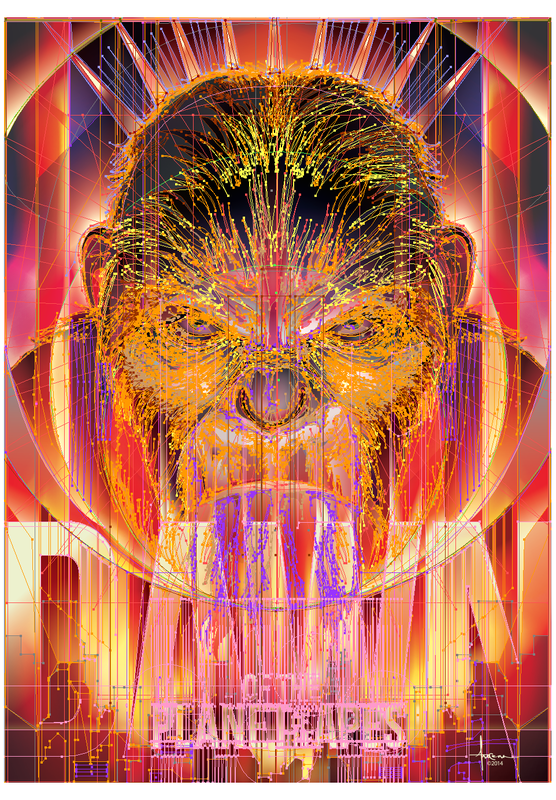 I wanted to capture the heat, the intensity and brilliance of the sun – giver and taker of all life and portray Caesar as the center of this new “Dawn.” Creatively, I found a connection between the dramatic conflict of the storyline and the associated contemporary themes ( ie. 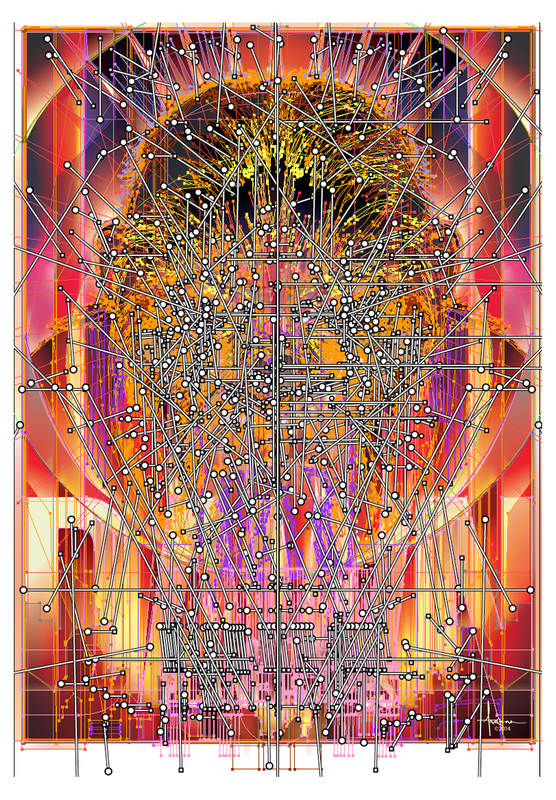 violence, motion, technology) portrayed in early 20th Century Futurist paintings and incorporated them into my vector tribute titled “Coronation of Caesar”. And here's the print, followed by glimpses into the process of the work via the draft images.